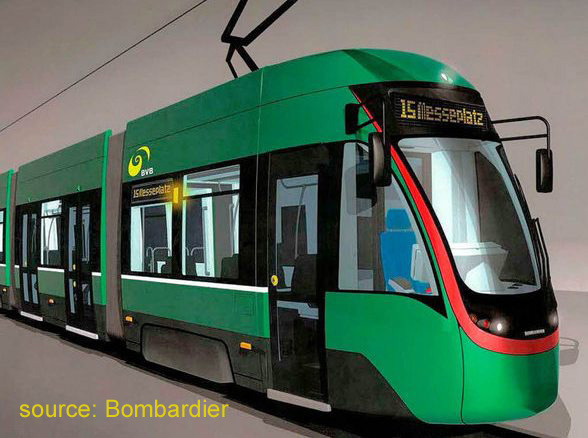 Basel's BVB is to purchase 60 Flexity trams from Bombardier for 220 million Franks. The first will arrive in 2013, with two trams a month being delivered from 2014. The trams will be delivered in two lengths: There will be 45 longer cars, measuring 43.2m with eight doors and a capacity of 254 passengers. The shorter 17 3m cars will have six doors and carry 183 passengers. 101 older cars are being replaced (Swiss Standard Trams and Duewags). There is also an option for 51 further trams. This order is a replacement for the Tango order BVB withdrew from last year.